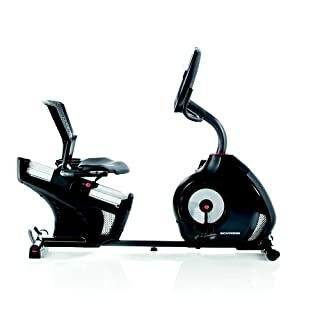 Today, I’m reviewing recumbent exercise bike offered by Schwinn (and perhaps the best recumbent bike, period): The Schwinn 270 Recumbent Bike. 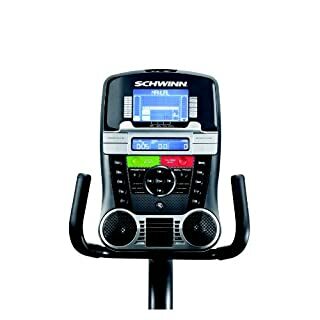 Schwinn is one of the top brands in exercise bikes on the market today. One can tell on their first ride upon a Schwinn that they don’t skimp out on quality. The Schwinn 270 is made for the both the beginner and advanced rider. Reaching your fitness goals has never been as easy, adaptable, or beautifully designed. In this Schwinn 270 recumbent bike review, I’ll show you the features that make this one of our favorite recumbent bikes. Let’s talk aesthetics first. One look at the bike and you know that this is one of the best-looking, well-built bikes out there. Sleek black design with a roomy seat and beautiful dual-display console makes an impressive first impression. Then, sit down in the seat and realize that the quality and comfort of the bike stand up to its visual appeal. This Schwinn exercise bike is made with a single-piece frame. Pair this with two integrated levelers and large midframe support and you get an incredibly stable and strong platform while riding. Its 300-lb. max user weight is a testament to that. A user-friendly walk-through design makes for easy in and out of the equipment. The seat is made extra wide and roomy with contours for your legs and an extra padded cushion. The backrest offers added lower-back support and allows ventilation through the holes. Handlebars on either side of the seat create a comfortable, natural place to rest your hands as you pedal, and double as heart rate sensors. The seat adjusts easily using the sliding rail to set up the seat closer or farther away from the pedals as needed. Speaking of pedals, they are made with 3-piece crank assembly for durability and oversized to fit even the largest pair of feet. How smooth is the ride itself, though? Extremely smooth thanks to the high-speed high inertia perimeter weighted flywheel. The weight of the flywheel keeps the bike firmly planted on the ground with no wobble or instability. Feel free to pedal as fast and as hard as you’d like. Now, I’m sure you’re wondering, “Just how hard will I be able to pedal with this bike?” This is exactly where we get into the goods of this specific Schwinn recumbent bike. Twenty-five levels of resistance are available for users to challenge themselves. Feel free to make it burn! If you need a preprogrammed workout routine to help you “make it burn”, the Schwinn 270 has twenty-nine of them to get you going. They consist of workout programs in mountain climbs, heart rate control (beginner and advanced options), two fitness tests (beginner and advanced options), and much more. There’s bound to be a workout program that’ll fit your needs and workout goals. The console also has the capability of holding four different user profiles. Input each user’s information and key figures, and the console will keep track of all their workout progress separately. The console keeps track of speed, time, distance, level, revolutions per minute, heart rate, calories, and resistance. The console even congratulates you when you reach new records in your workout progress. Talk about motivation! The console itself is a dual-display LCD monitor, which shows you 13 feedback statistics at once. A nook keeps your tablet, iPhone, or Kindle for entertainment as you work out. Hook it up to the USB port to charge your tech while also playing any audio through the acoustic chamber speakers for rich sound. You don’t have to worry about your media blocking the console display. You can easily check the status of your workout and progress without having to move it over to see. Not only that, the USB port allows you to import your workout information to Schwinn Connect and MyFitnessPal. Access these through the app on your phone or online on their website for extra analytics, workout progress tracking, and goal setting. As some added bonus features, you get an extra-large water bottle holder, a 3-speed fan to keep you cool, and transport wheels to move the bike out of the way when not in use. Overall, for the amount of quality and features you’re getting, one would expect to pay well over $1000. Surprisingly, the price of this bike is well below that. You’ll really be getting a lot of bang for your buck. It’ll take you about 1.5-2 hours max to put the bike together since there are quite a few pieces. It should be a smooth assembly process, though, as the assembly instructions are well thought-out and easy to follow. As you may know, the Schwinn 270 manual is not included in the package. 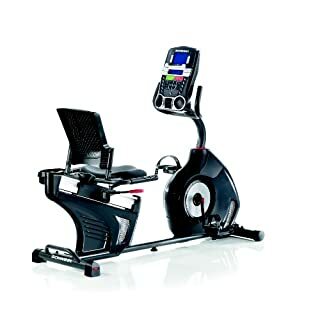 To download Schwinn 270 Recumbent Bike Assembly & Owner’s Manual click here. The warranty offered is solid: Ten years on the frame, 2 years on mechanics, one year electrical, and a 90-day labor warranty. Their customer service has been known to be excellent as well, so if you run into any issues, don’t hesitate to call. It’s hard to pick just a few features that stand out as real deal-breakers when the whole bike seems to be made with every detail and feature in mind. If I had to choose, though, some of the key features that make it really stand out against others are the wide, comfy seat frame and the surfeit of preprogrammed workout options and resistance levels. The seat is made to fit every size of rider, even those who may be overweight or of larger build. The seats of most other recumbent bikes are not made this wide and roomy, so the comfort level of every workout session is unsurpassed. Any preprogrammed workouts will keep any beginner rider motivated. Having twenty-nine programs keeps workouts interesting and varied for an avid rider. By having twenty-five resistance levels this bike is able to cater to the most beginner rider to the most advanced. It’s one of the most versatile recumbent bikes available. It’s hard to pick out the cons of the Schwinn recumbent bike 270, but if we’re going to try, we’ll have to get a bit nit-picky. Perhaps the biggest flaws of this bike are the inability to adjust the backrest and the brightness of the LCD screen. 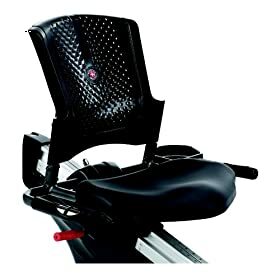 If the backrest were able to be tilted a bit for maximum user comfort, I imagine more riders would come flocking to the bike. It’s always nice to be able to decrease the brightness of any screen, especially in the darker hours of the night or early morning. The only other flaw seems to be the faulty connecting of workout progress to the MyFitnessPal app. Although not common, some users may find that the transporting of information to the app is a bit faulty or unsuccessful. As mentioned earlier, customer service is very helpful in these cases and most customers are able to find a solution to the problem. Overall, you cannot really go wrong with the Schwinn 270. It’s catered for every kind of rider and made to last a lifetime. This is really a valuable investment worth making. The fact that it’s a recumbent bike should be comforting as well. You can get a good workout without straining too hard or worried about high-impact injury. 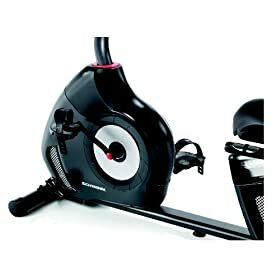 I cannot rave enough about this Schwinn 270 recumbent bike, so go out there and get one already! Try one out for yourself. I’ll be surprised if you don’t love it. I really enjoy riding the Schwinn 270 bike because its so comfortable on my body. 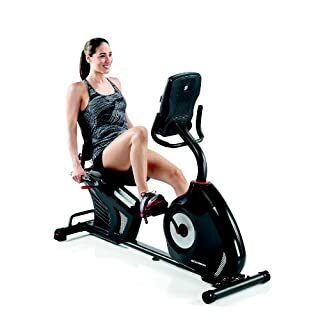 The back is curved, the seat is padded and the foot pedals are a little bit bigger than on some other models and I really feel connected like I can get after my workout and pick up the intensity.